The large art calendar on the facade of the Liebburg, the Lienz town hall, is the major attraction at the Lienz Advent Market. Artists turn the 24 windows of the Liebburg into calendar motifs. At 6:30 p.m. every day the Advent market becomes a social and cultural meetingpoint. Together with good friends and acquaintances the market visitors witness the opening of the Advent calendar windows and prepare themselves for the approaching festive season. The original works of art are shown in a special exhibition and will be sold during an exciting art auction in the Liebburg on January 4th 2019. 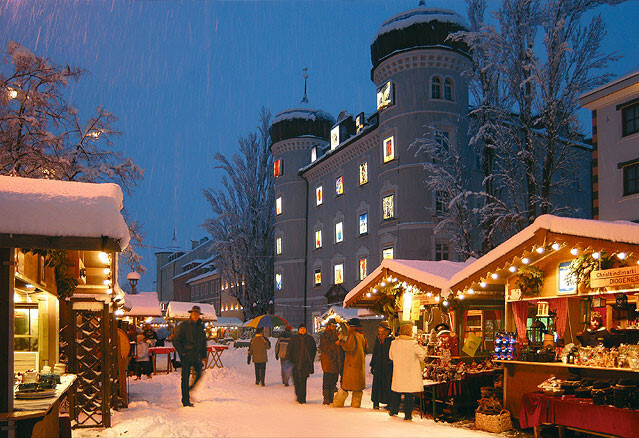 This large Lienz Advent calendar is organised by Round Table 22 service club with the help of the Lienz council. The proceeds of the art auction go to 'Licht ins Dunkel Österreich' and various aid projects in the region. A particular word of thanks to all the artists who, with their works of art, have made this such a special public art experience for more than fifteen years now.